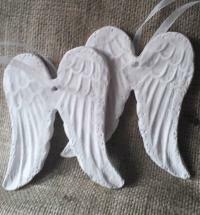 Handmade personalised pair of ceramic porcelain hanging little angel wings. 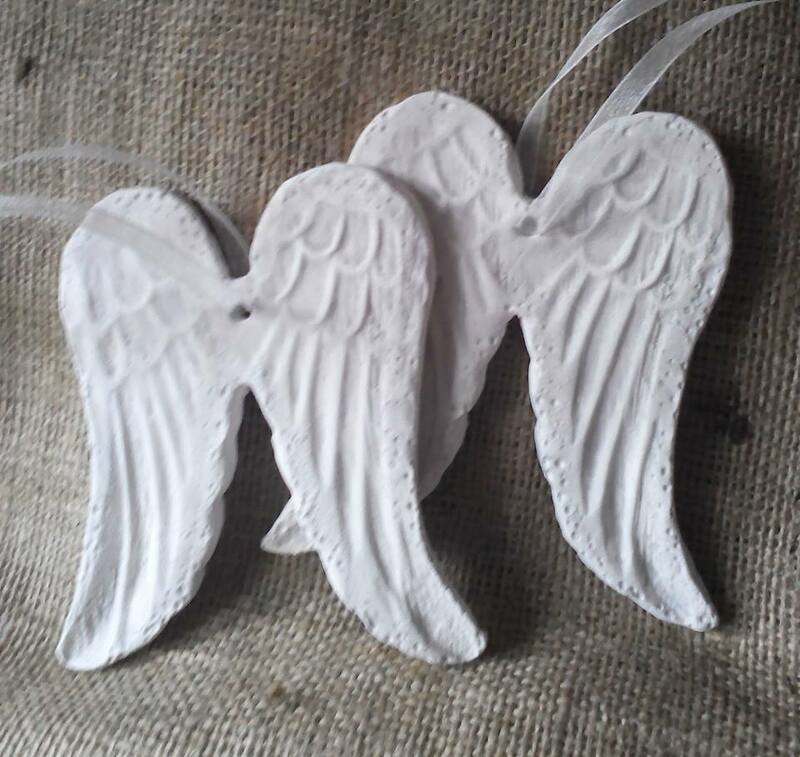 Choose to leave plain or personalise with a name or word on each wing, such as peace, love, aunt, mum, mam , baby, sister or create your own wedding mr and mrs angel wings. We have created these with a rustic finish. 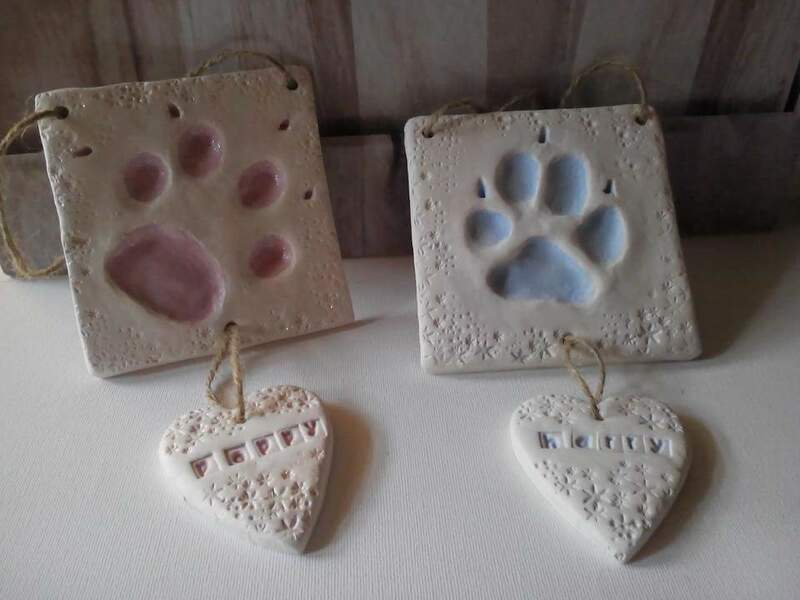 They look great all year round in your home, particulary at christmas time and are a lovely sentimental gift or for weddings, or in memory of someone young or old. 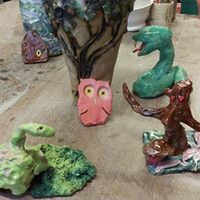 Each one of these are unique as they are individually crafted and will differ in size and colour slightly, due to being handmade and kiln fired. 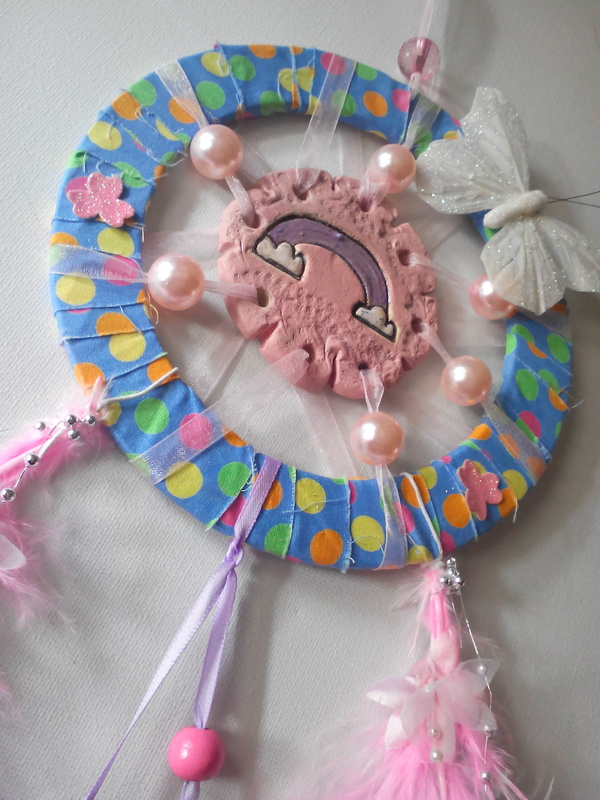 These are made to order so please allow up to 1 to 3 weeks for delivery. 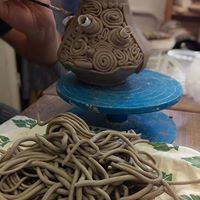 If your order is urgent and you would like to make an enquiry first, to see if we have ready stock available, please feel free to do so by clickling on the 'contact us' button at the top of the page. 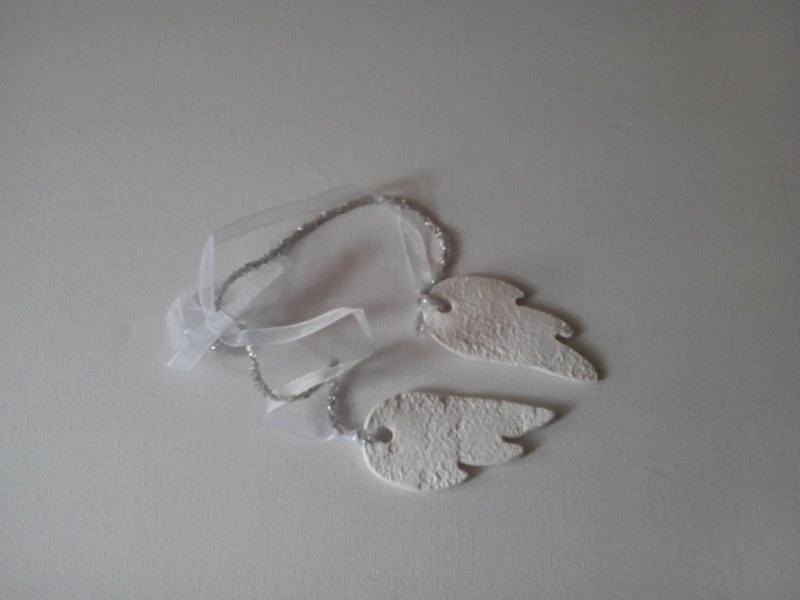 To order, just let us know in the 'custom message box' below, what word or name you would like placed on each wing or choose to leave them blank. Please check all spelling before sending us the information so we can create the correct message for you. Then add to your basket and pay.